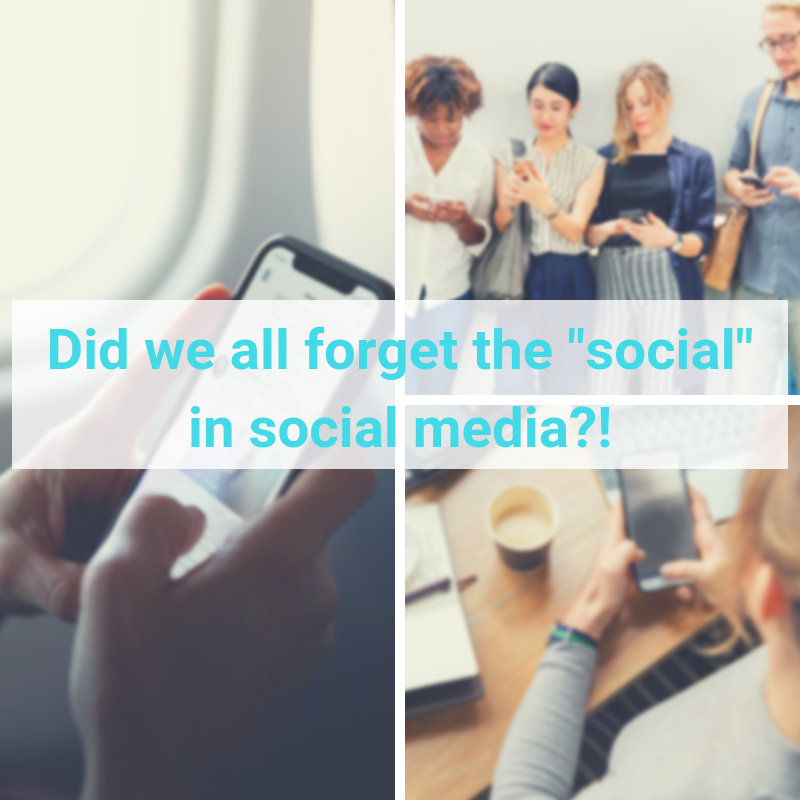 ​​Imagine If Your Time on Social Media Could Bring You More Clients and Business! Everyone is using social media. Yes, I really do mean EVERYONE! Every age or demographic is out there, talking on social media. Your customers and clients are on social media. Your competition is on social media. But you can’t be a successful solopreneur and spend all YOUR time on social media. Have you been wondering how you can get social media to boost your business, bringing you greater visibility among your ideal audience, and more of your ideal clients? And NOT spend 24/7 trying to promote your business on social media? ​Let me show you how ​to work mightier and smarter, not longer. ​How social media CAN bring you more clients and more success. ​​Get Smart Social Media Success! 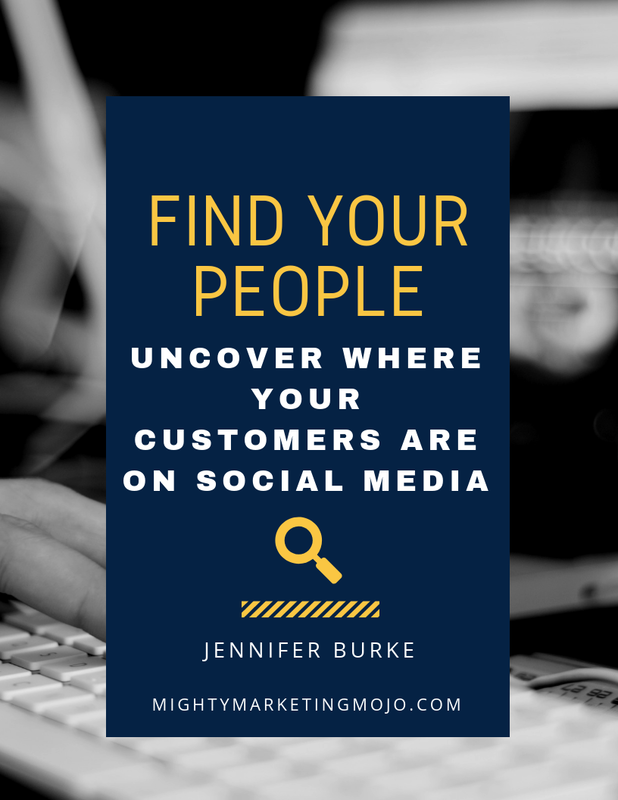 ​I'm Jennifer Burke, a fellow solopreneur and bit of a marketing geek. 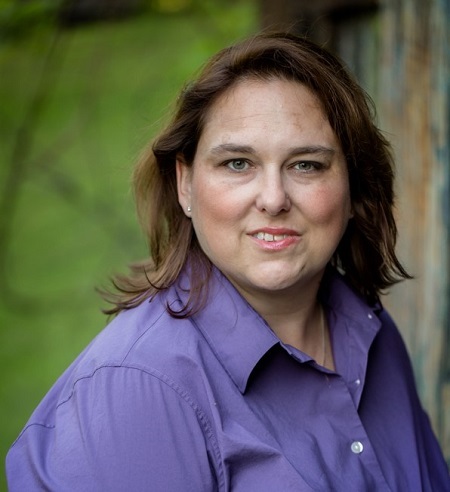 Take advantage of my years as a marketing exec, researcher, and now teacher/trainer. I keep up on all the trends and tools so you don't have to. Let's get your marketing mojo on! ​As solopreneurs we wear ALL the hats in our business - CEO, CFO, COO, CMO - and sometimes it feels we've run out of time to get it all done before it's even lunch! You know you need to be using social media. You've heard it can help reach more of your ideal clients. ​But ... you're not convinced that time spent on social media can actually turn into paying clients. You've seen a lot of the tools out there that say they can help, and maybe you tried a few. But ... you're still not sure how to make ​those tools work, or fit ​them into your busy schedule. What if someone offered to guide you through those social tools, point out the budget-friendly ones, show you how to do research on your audience, and help you ​plan smarter social media use so you can actually get traffic, leads, and customers from social media? Then it's time to get Smarter Social Success! That's ​what you'll get with this quick, intense group coaching program over 3 days! Let's get you to ​feeling smarter about social media and creating a client-winning social plan! 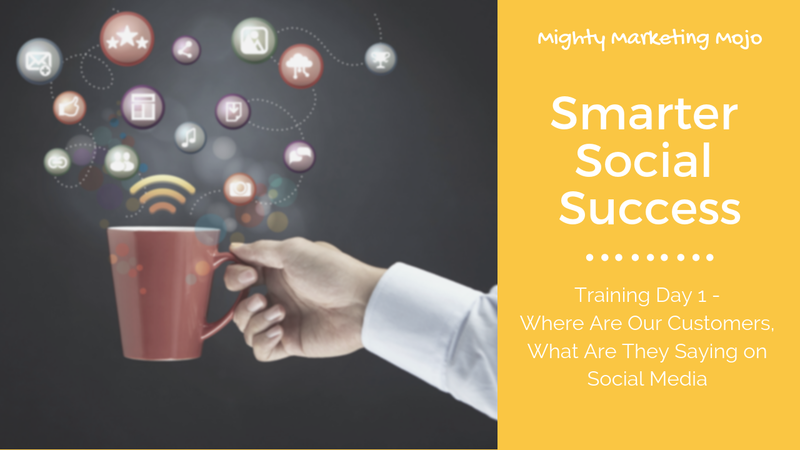 I Want Smarter Social Media Success! 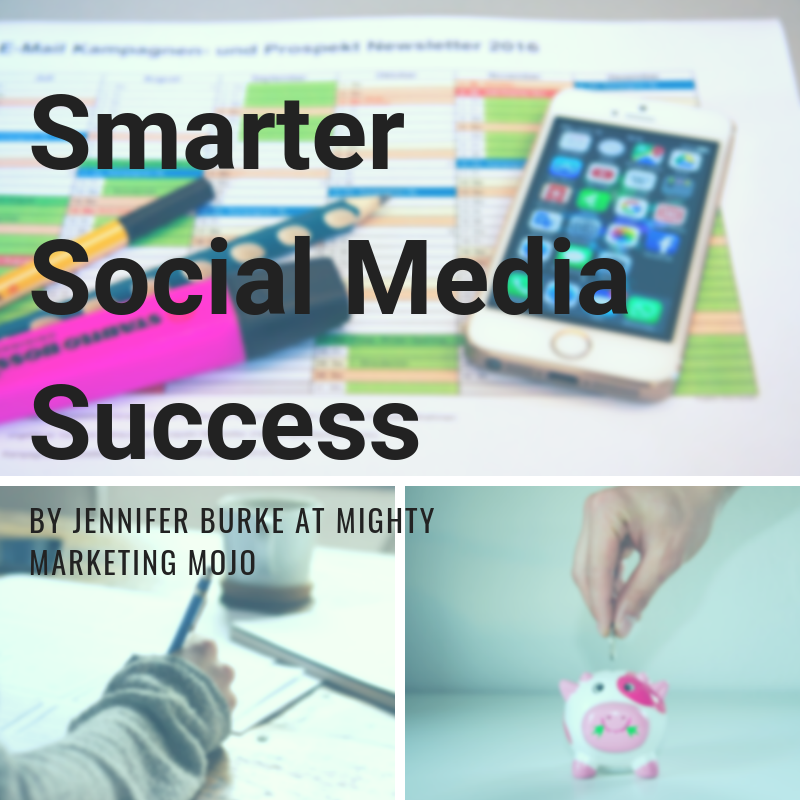 ​Jennifer, I want more clients so I want you to nudge me to being a smarter social media user and marketer! ​​Training 1: Prep for Success - Let's do our research and know our audiences and our chosen platforms. We'll ​talk about social goals. 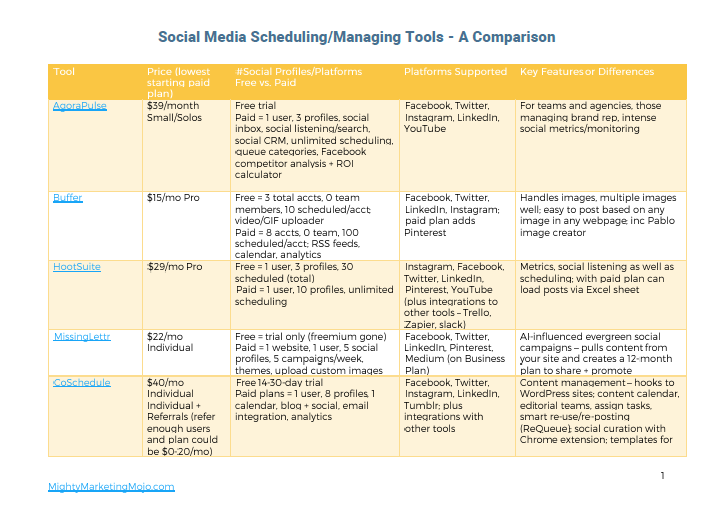 Let's get smart about the tools we use and where we spend our time on social for our businesses. ​​Training 2: Smart Posting, Smarter Automation - Let's talk about what to post for greater engagement and how we can automate smartly, not like a bot! 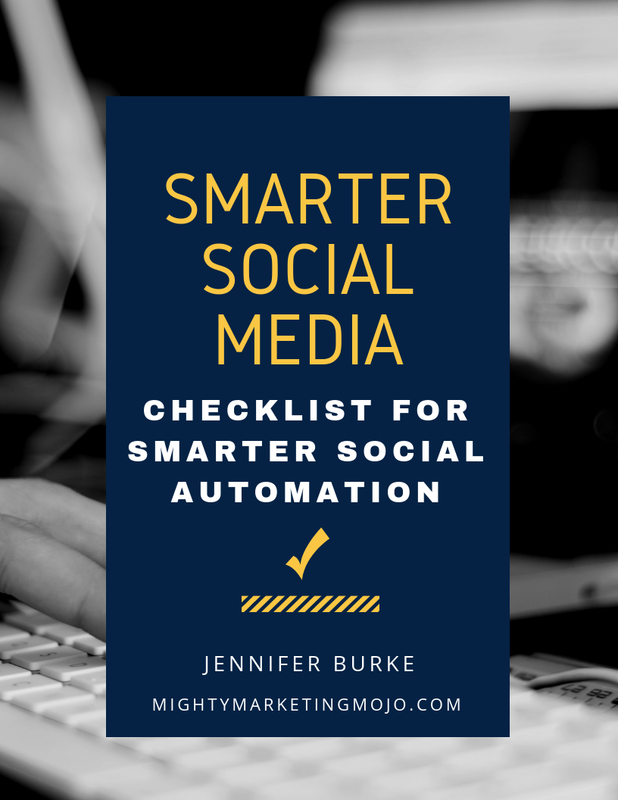 You'll get at least 10 tips for smarter automation that lead to smarter time spent on social media. ​​Join for a Live, Open Q&A - Come to monthly "office hours" Q&A time and bring your questions! ​If you've gone through the training, seen the worksheets, and ​have questions on how to put the pieces together, come to "office hours"! We'll make sure you're ready to start being even smarter about your social media plans.